The publication of Dr. Newman's Apologia gave occasion to many criticisms of very different characters, some very good and some very bad; but those that were worth anything presented very conspicuous instances of the two main directions in which criticism works. The occasion was one exactly calculated to draw out the difference between them. To one class of critics the book was a wonderful revelation of the inner history of a remarkable man, and it enabled them to understand, more than any book had done before, the true spirit of Ultramontanism at its best—not the Ultramontanism of French religious circles and conventual establishments, but the Ultramontanism of thinkers. Thus the book offered singular attractions to those critics whose way of thinking led them in the direction of sympathetic criticism. It had a marvellous biographical interest, and it gave the key to the feelings and thoughts of many men whose works it is quite worth while for any critic to understand. On the other hand, there were critics of a high order who saw in this book nothing but the exposure of the sophisms with which an ingenious man had managed to beguile himself at successive stages of his life. The thoughts it contained were not true thoughts; the assumptions which Dr. Newman put forward would not stand; there was a want of honest, direct thought in what he said, and therefore the book was utterly distasteful to them. Judicial criticism found as much to condemn in its pages as sympathetic criticism found to approve, and the difference between judicial and sympathetic criticism was as well illustrated as it could have been. That there are these two directions of criticism, and that each has its value, is a point very desirable to remember when we study the relations of writers on books to those by whom the books are written. It is true that there have been some critics who have been equally great in both directions, but they have been exceedingly few. Ordinarily, a critic is inclined to be either judicial or sympathetic; and sometimes there is a fashion in criticism, and the criticism of a whole period is either one or the other in a very preponderating degree. Every one would say that the criticism of the old Edinburgh Review in the days of Jeffrey and Sydney Smith was judicial. Every one would say that the criticism of the time when Mr. Carlyle's writings most affected the ablest of his younger contemporaries was sympathetic. At the present time, perhaps, critics are judicial or sympathetic rather according to the bias of their minds than in deference to the authority of any leader in their art. And criticism can be excellent in either line. No critic, of course, can have much turn for his art who is not capable of being sometimes judicial and sometimes sympathetic. But he will probably, unless he is either commonplace or very superior, move in one line mainly. What we wish to point out is that excellence is possible in each. A criticism on such a book as the Apologia may be just and true, although it is chiefly devoted to an admiring exposition of the mode in which the thoughts of the writer are revealed. A judicial criticism may be just and true, although it recalls a susceptible and imaginative writer to the domain of logic, and shows his weakness there. The ideal criticism would be equally judicial and sympathetic; but we cannot get ideal criticism, and when we take the best we can get, we shall find that it has a leaning to one side or the other. In judging of any considerable mass of literature like that of critical literature, it ought to be an invariable rule only to take favourable specimens. We learn nothing either about criticism or about books from mere foolish criticism, whether its folly takes the line of being judicial or sympathetic. A more Protestant tirade against Dr. Newman is as useless and repulsive to read as a Roman Catholic puff of him. We must put aside carping criticism on the one hand, and gushing criticism on the other, and take good examples. Lord Jeffrey is perhaps the best instance that can be given of a judicial critic. His style, judged by the taste of the present day, was ponderous and cumbersome in his solemn and pet passages, and he was not free from a fancy that he had found out a new Scotch theory of the Beautiful. But in the main he was a great critic— lively, versatile, clear, and reasonable. Even in his worst reviews he was never absurd or wholly wrong. Probably most modern readers would consider his Essays on Wordsworth's poetry as the worst. He does not seem to have had any capacity for seeing the real sense in which Wordsworth was a poet. But still the points he takes are not badly chosen. Many of the things he objects to are objectionable. Many of the faults he urges against Wordsworth's style are very justly urged. Wordsworth was often pompous and often prosy, and he often used language which meant nothing, although perhaps its very want of meaning, coupled with its hazy form, was not without a poetical suggestiveness. And here we are taking Jeffrey at his worst, and looking at essays tinged beyond all the others with the defect of not exhibiting any sympathy with the excellences of writers he disliked. 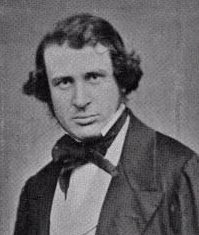 As a specimen of sympathetic criticism, we may take the elaborate and admirable criticism of Wordsworth which has lately appeared in the pages of the North British Review, and which gives in a moderate compass all that an ardent and yet sensible admirer of Wordsworth as to say about his favourite poet. There may be perhaps a want of the judicial faculty in it. The critic can scarcely find any other subject of regret with regard to Wordsworth than that, in later life, he corrected some of his earlier poems for the worse, and that he did not introduce theology with more profuseness. Some of Wordsworth's poems, too, appear to us far too much praised. But on the whole this essay is one of the best specimens of sympathetic criticism that can easily be found, and has much that is new and delightful in it, even to very old readers of Wordsworth. We get a very different, and a much fuller and truer, notion of Wordsworth from it than that which Lord Jeffrey gives us; but the two together give a juster notion than either separately. We should get no conception of the beauty and pathos of the stories of the Excursion from Lord Jeffrey; but we should not learn from the North British how prolix and pretentious the Excursion is in its worst parts—that is, in three-fourths of the whole—and how very few of the best parts are wholly free from prolixity and pretentiousness. It may perhaps be conceded that it is, on the whole, better that a writer should err on the side of sympathy. He ordinarily learns more by entering into the meaning and feeling of the author than if he set himself to judge and find fault with him. But it is far too frequently assumed at the present day that sympathetic criticism is the only criticism worth having. It is said that, when a critic begins to criticize, he must do a variety of things more or less gushing. He must look with reverent eyes straight into the soul of the man, he must everywhere see the human and love it, he must be very fond of true greatness, and be as a valet to whom heroes are heroic. Some of the very worst criticism ever written has been the result of commonplace people blindly obeying these mysterious injunctions; and therefore the dangers or weak points of sympathetic criticism are worth noticing, although, wherever judicial criticism grows exaggerated and rampant, it is equally useful and equally lawful to dwell on the great merits which sympathetic criticism undoubtedly has. In the first place, sympathetic criticism is apt to be very capricious. If we are to choose an author, and then insist on loving him and looking into his soul, it appears sometimes a matter of chance who the author chosen may be. And then we have no means of checking the process. The critic tells us that he has looked into the soul of his man and leant to love him, and we are obliged to own we have not. But still we have an uneasy feeling that this ought not quite to settle the matter. When we otherwise admire the author, and also admire the skill and style of the critic, the criticism carries us along with it. When Mr. Carlyle is writing of Walter Scott, or Burns, or perhaps Cromwell, we know something of the men of whom he is writing, and regard them already with something of admiration and respect. When he looks with loving eyes into their souls, and tells us what he sees there, we are pleased, and willingly accept his account. But Mr. Carlyle has looked with loving eyes into some souls whom we do not come prepared to love. He has lately, in the language of the school he has formed, seen the human and the loveable in the soul of Frederick the Great, and has called on the general public to welcome the revelation of what he has found there. But most of his readers find it very hard to obey. The facts he has to tell show us conclusively that Frederick was human enough, for humanum est errare, but they scarcely show that he was loveable. To this, however, the extreme upholders of sympathetic criticism would reply, that in judging of a great man we must not go by little trivial facts, but that it is nil a question of soul comprehending soul. Then, again, sympathetic criticism is apt to become very discursive. If a critic sets himself to see into a soul, how is he to do it? What practical steps can a person take who wants, we will say, to look into the soul of Akenside? Obviously he cannot look into the sky, or the fire, or a bowl of clean water, and there see Akeneide's soul, nor can he do better by shutting his eyes and thinking. But there are two practical steps he can take. He can get all the portraits and engravings that the most disputable authorities pronounce to be likenesses of Akenside, and he can compare them and stare at them until he sees a meaning in Akenside's eyes and nose and under-lip. Or, again, he can ferret out a series of minute facts supposed to relate more or less closely to Akenside—such as the name of his mother, where she was born, and whether her father or grandfather was in easy circumstances for his station in life; and by gathering together a mass of such information he can flatter himself that he shows conclusively his reverence. The consequence is that when sympathetic criticism takes the form of biography, as it very often does, it very easily leads to a most wearisome accumulation of irrelevant statistics, and to speculations on the character decipherable in the lines of the author s face. Further, it is among the great defects of sympathetic criticism that it conduces to a want of proper regard both for truth and for principle. It is a much more entertaining and a much more brilliant performance to look into a man's soul than to form and express a correct estimate of him. That others should not be able to follow the process is a great temptation to pursuing it wrongly. That a critic may have formed an opinion which he cannot altogether justify does not, indeed, show as a matter of course that this opinion is wrong, for the critic may have a real power of seizing the truth of things which he cannot explain to those who have not got it. But, at any rate, he loses a most valuable check upon himself when he takes steps which others cannot follow. He may be very likely to fancy that he sees the truth of things, while his fancy is a mere fancy. The vague language of approval, too, which is conveniently and properly bestowed on many good things by classes of persons, is sometimes interfered with very advantageously. Judicial criticism comes in to clear the ground, and make persons have an intelligible meaning. With the Bishop of Natal as a theologian we have nothing to do, but as a writer he appears to us to have done a very useful service by insisting that judicial criticism shall be recognised as having a sphere of its own, and that sympathetic criticism shall not be held to settle everything. It cannot be without effect on departments of literature very remote from theology that a conspicuous person should put before the public a very plain issue, and should refuse to be silent because the sympathetic criticism of archbishops and bishops is against him. It might perhaps be easy to show that, if the method of Bishop Colenso were carried too far, judicial criticism in its turn would be too dominant. But, at present, sympathetic criticism has far too much the best of it, not only is theological writings viewed on their literary side, but in many others where the prevailing habit of mind exhibited is like that exhibited in theology. The Bishop of Natal starts a very simple issue. He says, "I can prove that the Pentateuch was written at various times, by various authors." He may be right or wrong, and it may make a very great—or, as we should prefer to guess, a very little—difference if he was right. But, at any rate, sympathetic criticism cannot settle the point; and it shows how much the minds of Englishmen must have been enfeebled by sympathetic criticism, that so very many persons should trust to sympathetic criticism for the settlement of such, a matter. This is only a symptom of the present state of criticism in England. It errs on the side of being too pliable and appreciative, not sufficiently hard-headed, trenchant, and logical. As we have said, we think this is better than to err on the other side; but still we want more judicial criticism, not of a petty, or carping, or cynical kind, but unsparing, based on evidence, and appealing to fixed principles. Saturday Review, October 22, 1864.